Angie Nelson has been working from home since 2007. Over the years she's dabbled in direct sales, customer service, running a virtual assistant business, and publishing various niched blogs. 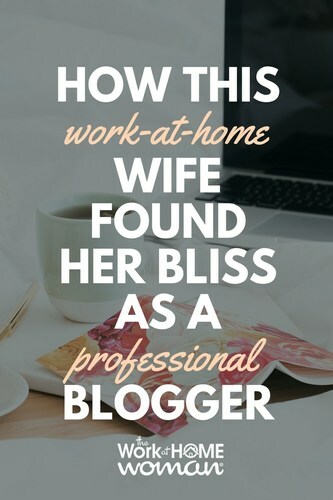 Read on to find out how she finally found her work-at-home bliss with a professional blogging career over at The Work at Home Wife. Tell us a little bit about yourself and your work-at-home journey. I had worked as an administrative assistant at a company for almost 11 years, and I was no longer happy there. I spent months and months looking for a new job I thought I would enjoy, but I just ran into a lot of the same. It was then that my husband suggested I look into working from home. I had been involved in direct sales off and on for years, so I was already frequenting forums like wahm.com. I started venturing out of the direct sales folders and exploring what else was available. I started working from home in 2007 as a customer service rep while getting my virtual assistant business off the ground. After a few months, I was able to leave the phone work behind and focus solely on my own business. 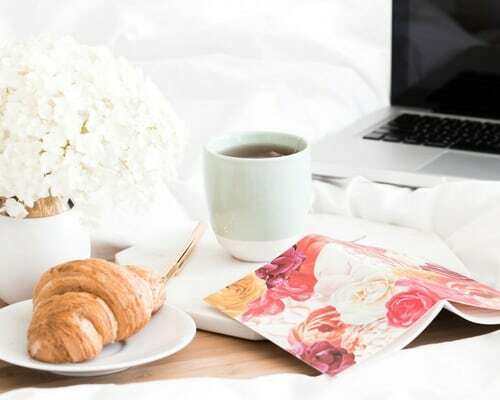 As time went on and more people contacted me through my VA website asking if I was hiring or how they could get started, I began blogging about my work-at-home journey. I enjoyed blogging so much that it progressively a became a bigger and bigger part of my online life and with several blogs. Today it is where I spend the majority of my time. How did you know it was time to let go of your virtual assistant business and focus on blogging full time? When my average hourly income for the time I was spending blogging surpassed what I was making as a virtual assistant, it was time to change my focus. At that time, I hadn’t optimized my site as best I could. I was confident if I invested that client time into working on my own projects, I could greatly increase my blogging income in a short period of time. Thankfully, I was correct. Give us an example of how you first monetized your blog. Affiliate marketing has always been my bread-and-butter. My first $50 came from promoting my hosting company. I was hooked. What types of marketing strategies have worked best for The Work at Home Wife? Diversification is so important in the blogging world – SEO, Pinterest, Facebook, and most recently, YouTube. Again, diversification. Things change so quickly around here and the income swings can be big from month-to-month, it’s important to not only have several income streams in place but also think two steps ahead. If you see a majority of your income is coming from one place, have a backup plan in case that opportunity dries up or closes overnight. How will you replace it? If you get one program earning well, start optimizing the next. It’s rare that I work more than 4 to 6 hours per day anymore. I work in the morning and have my afternoons to myself. Todoist has been a lifesaver. Though I am an early riser and the first hours of my day are pretty consistent, anything goes after 9 am. This task manager keeps me on track and ensures I get everything accomplished. Shiny Object Syndrome is a serious threat around here. It’s easy to get distracted by the next big idea or worry that you are missing out. I’ve been guilty of starting two new projects before I finish what I already started. I have to be conscious of what I’m doing. One click of the mouse can spell trouble. What advice do you have for other women who want to start their own online business on a shoestring budget? Just go live. I see so many women who have been in the planning stages for years. They are waiting for perfect or waiting until they feel more confident, more informed, more this or more that. Things will never be perfect. You will never know everything. Every day you wait, you are missing out on great opportunities. Someone else is getting the jobs you want, the clients you want. Why wait? 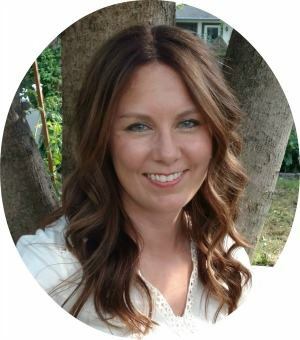 Thanks to Angie Nelson of The Work at Home Wife for sharing her story! Originally published March 31, 2014. Content updated April 10, 2018. My Virtual Secretary helps me run my website and blog. I mostly do the writing. thanks Angie for sharing information with us. Glad you enjoyed Angie’s story, Eric!